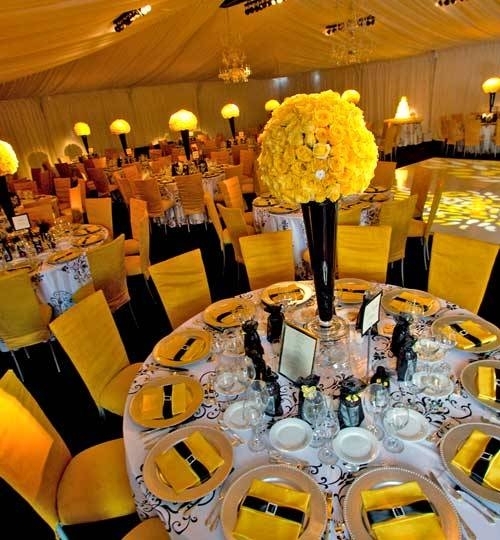 The color yellow is showing up everywhere right now….such a bold move! I’m so in love! 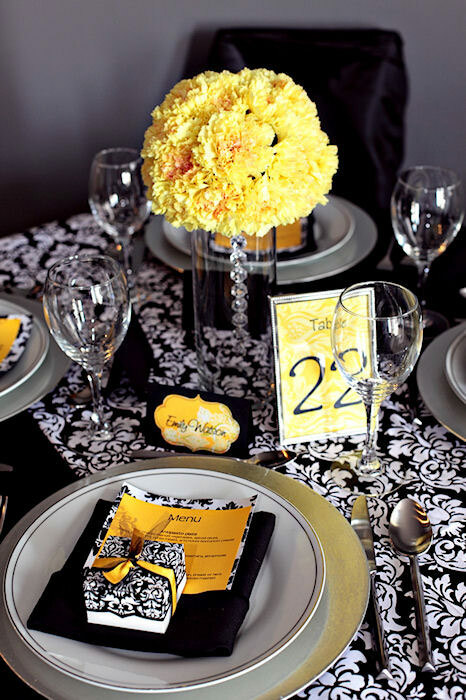 Yellow and Black screams bold elegance. 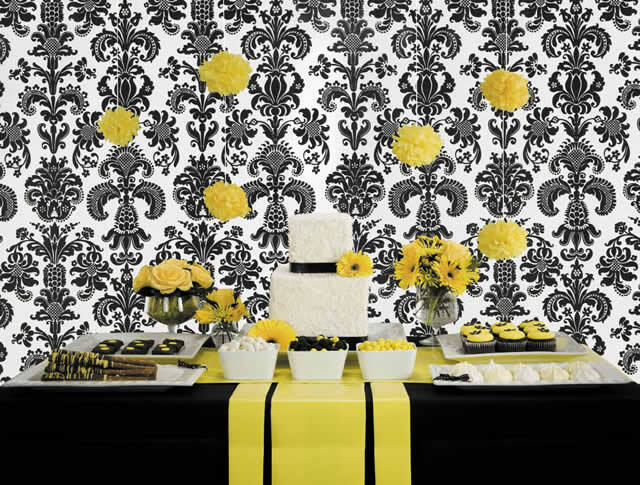 Tie in white or a damask, and you have a modern feel. 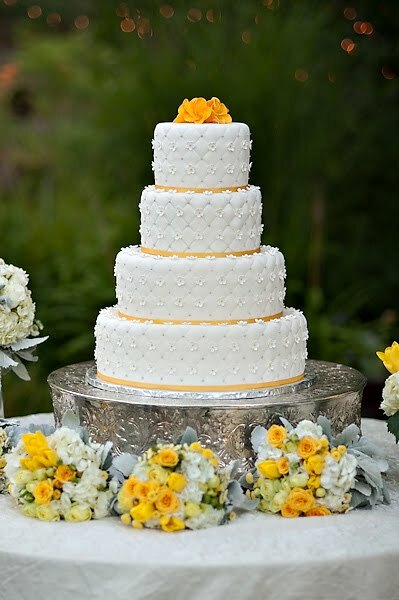 Yellow and Grey is a down home, casual wedding favorite. 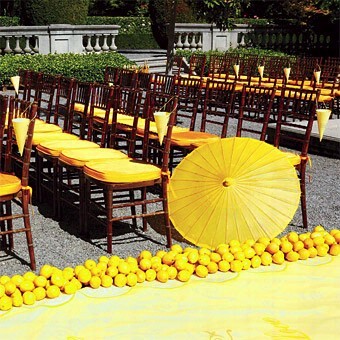 Fresh Lemonade and a candy statin with Lemon Heads and Jelly Belly banana Jellybeans complete the look. 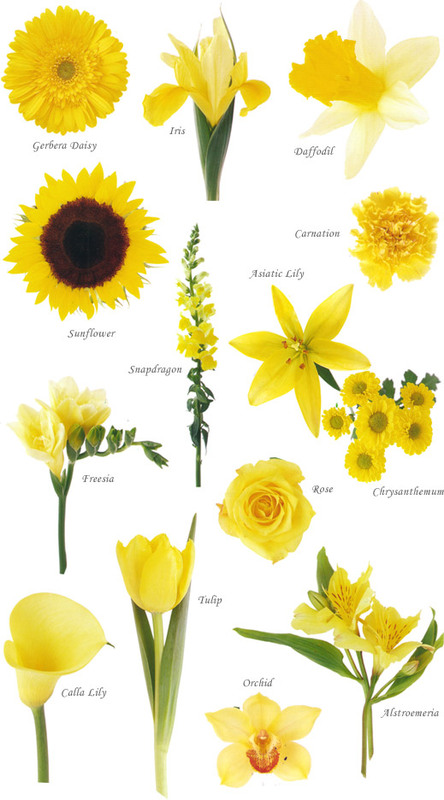 Yellow flowers are some of my favorite! 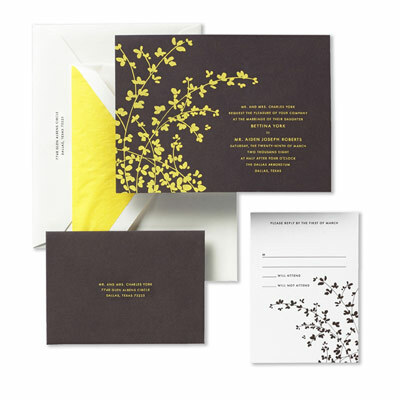 Tulips, Orchids and Sunflowers are great options. 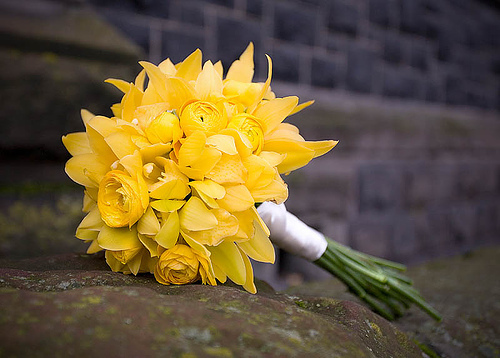 A bright yellow Bridal bouquet will never disappoint….such a showstopper! 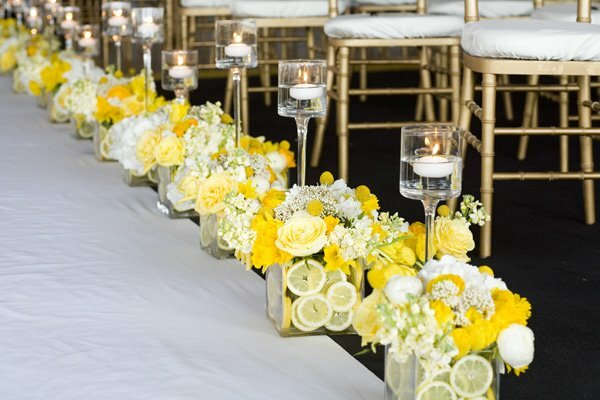 Take a look at some yellow wedding inspiration!